I'm currently still a few episodes from the end of the exorbitantly popular My Love from the Star, but found this Washington Post article describing China's complaints on why they can't produce a drama as good as South Korea. It was too hilarious to not share. It's a question I've pondered previously, for given China's large drama budgets and greater number of producers / actors, why is there such a negative production differential? The interviewees of the Post seem to think the answer lies in censorship and claim that Korean dramas are at core a representation of traditional Chinese values (the latter's a bit of a stretch and frankly makes no sense). My take? Low drama quality is often directly a product of the cheesy and bland scripts put forward by the Chinese production system, which may be due to censorship, or may also be owed to lower quality writers/producers somehow winning clout in the very political Chinese entertainment industry. Additionally, the obvious and often unnatural dubbing alienates a lot of international viewers. Third, many Chinese dramas come across as cheap despite their supposedly great budgets. Again, I think this is an issue of directors winning gigs through political influence more than talent. And lastly, there's the obvious fact that Korean dramas have built themselves up as an international product, attracting increased funding and talent. I don't think Chinese dramas need to be resigned to this lower status, but I do believe it will take a lot of changes to their industry before they can hope to build themselves up as a competitive force for their neighbors. Moving on to my thoughts on the drama itself, I'm admittedly on the less-obsessed side of the fence (which explains why I still haven't finished it). I watch more for the fashion than the actual story, which has gone decidedly stale in the last few episodes. I could do with less of the Jae-Kyung murder-botched-justice-system game, which is frankly tedious and unrealistic to watch. 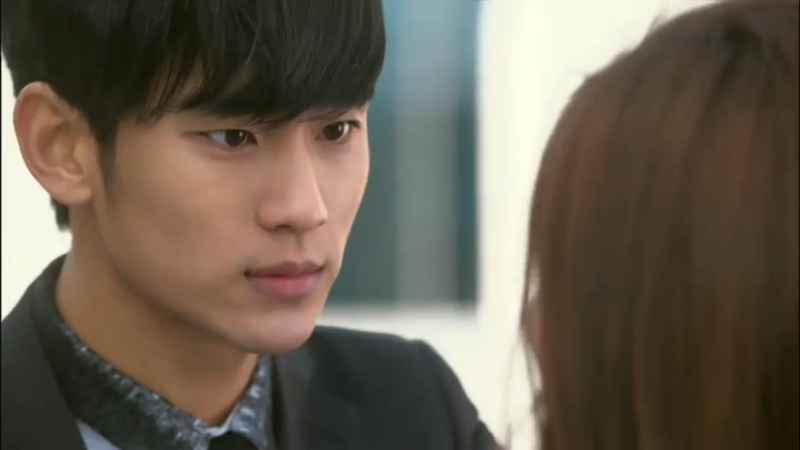 I'm also going to confess that I'm not a major Kim Soo-hyun fan (which explains why I didn't like Dream High). It's a matter of preference, but I don't find his stick-skinny, tiny build to be very appealing on a physical level. I also don't see as much chemistry between him and Jeon Ji Hyun as others had hyped up. 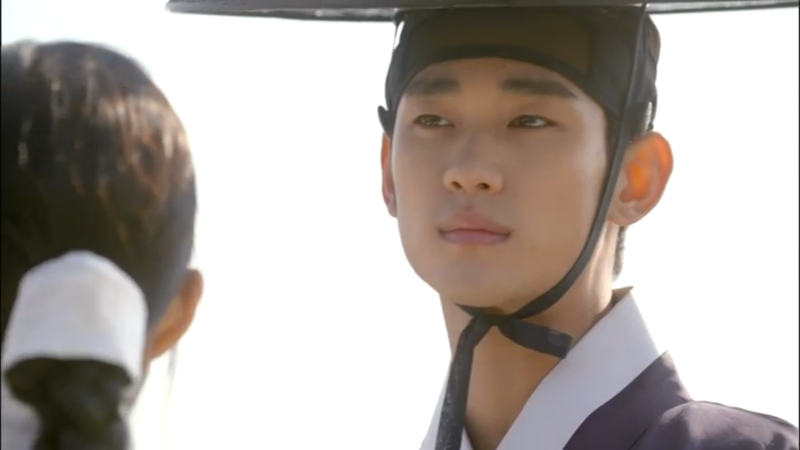 They seemed to have more of a connection in The Thieves than here, perhaps because Kim Soo-hyun's subdued performance doesn't provide much to work with. They have fair chemistry, but nothing super impressive, and his acting has always struck me as rather forced. The true gem of the show is Jeon Ji Hyun, and all the compliments on her performance are warranted. She balances the quirky with the grounded in Song Yi, and we can't deny that her taste in clothing and makeup is impressive. Without her, I'm doubtful as to whether the show could have picked up the momentum it has. In my opinion, the biggest weakness of the drama is the story, whose faults are neatly hidden behind charismatic acting, generally applicable humor, and solid directing. The plot feels like a jumbled mess of random fantasy, thriller, and romance elements. Additionally, the fantasy stuff makes no sense - why is Do Min Joon conveniently experiencing a physical relapse right at the time he finds Song Yi (400 years after the fact)? Why is he allergic to human fluid sharing? What aspect of being from another planet makes teleportation possible given the universal laws of physics? Why is there a penalty to killing a human? There appears to be no logic except to set arbitrary rules to support the plot, which is my biggest pet peeve in any show. Overall though, I understand the drama's appeal and am happy for it that things went so well as to cause international introspection. It's an enjoyable show that requires some extreme suspensions of logic, but has a good dose of humor and action to supplement that. That Post article is fantastic.. Glad the Chinese govt have got their priorities in order - though, that soft power can sometimes feel overwhelming. I'm with you on the drama though. I barely drudged through to the end once I heard that there wouldn't actually be any details or answered questions, or even anything remotely dealing with the whole 'alien' concept. What little concept there was. A murder/villain plot and a standard romance do not on their own keep me interested. You're spot-on in terms of the strange priorities the government seems to hold. That article also made me seriously question the intelligence level of most drama viewers (notably that chicken and beer incident). I definitely don't understand what about this show warranted that extreme level of obsession. As it stands, I may eventually finish the drama, but it's definitely going to take a while given the points you made. Finally a blogger/reviewer has articulated the way I felt about YFAS.The lack of clarity regarding the alien concept in the show was, IMO, extremely lazy writing. I have nothing against the actors, but I didn't find their characters or their relationship compelling enough to distract me from the obvious issues with the writing. The biggest weakness of YFAS is the stupidity on how Do Min Joon react to murderer Jae-Kyung. I can't believe a human with 400 years of age would still believe that cooperating with a murderer could make the murderer let him/his love go. I hate it when the lead didn't just hand over the USB to prosecution office and end this little stupid murder case legally, and focus on more better elements of the story. You also mentioned the second weakness very well: why does Do Min Joon conveniently experiencing a physical relapse right at the time he finds Song Yi (why 3 months of whole 400 years). You are right. It's an enjoyable show that requires some extreme suspensions of logic. I would be happy to find a drama that can beat Prosecutor Princess in 2010, but clearly YFAS cannot, not even close.